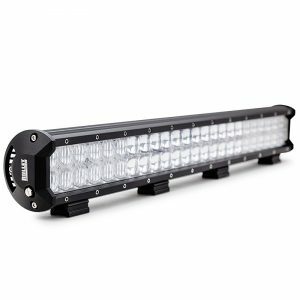 Whether you’re a 4WD enthusiast or a regular on the competitive circuit the BULLET 23” 5D LED Combo Driving Light Bar is built to excel in Australia's demanding conditions. 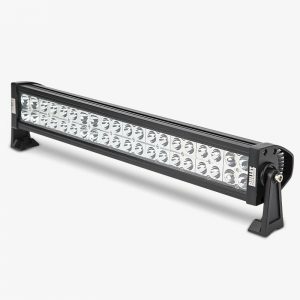 Fitted with 48 x 10W CREE LEDs, this light bar produces a serious 480 watts of power with an extraordinary 65280 raw lumens output, and has an enduring lifespan of over 50,000 hours. 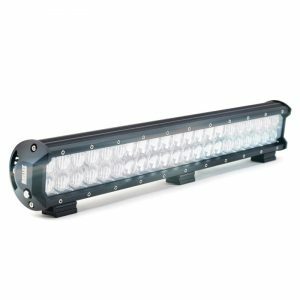 The light bar’s design incorporates a spot and floodlight combination with a 12 Flood + 24 Spot + 12 Flood configuration. 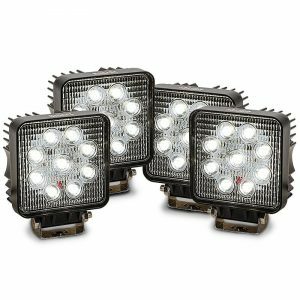 The floodlights produce an extra-wide 60° spread, while the spotlights produce a uniform 30° spread, giving the driver maximum visibility through both forms of light. To further enhance the power and quality of light, Bullet has introduced the latest 5D lens technology to accompany the CREE LEDs. This design incorporates reflective light cups with next generation 4D lenses to create a fusion of both long distance and broad viewing light. 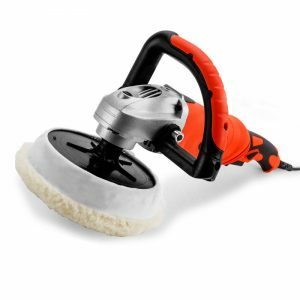 An extremely beneficial innovation that increases the intensity of the light simply through the working relationship of the LEDs and the bulbs. Note: There are rules and regulations that cover the installation of aftermarket components in Australian road vehicles. As these rules differ from state to state, please check with your local transport authority for further information. These lights are to be connected to your vehicle's high beam circuitry. Will need a fully qualified auto-electrician to confirm correct installation.